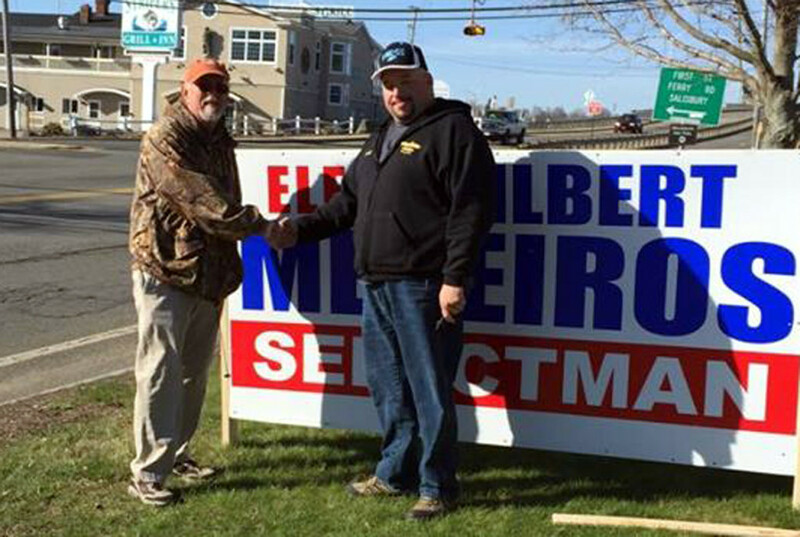 Salisbury Selectman Ed Hunt Endorses Gil Medeiros for Selectman on May 10th. SALISBURY – After serving 15 years on the Salisbury Board of Selectman, Ed Hunt has decided to endorse the candidate he wishes to replace him on the board. On Monday, Hunt endorsed newcomer Gil Medeiros, who served on the town’s licensing board and is a retired Deputy Superintendent for the Essex County Sheriff’s Department. Also seeking to fill the two open seats on the board are incumbent Freeman Condon, and Ronalee Ray-Parrot. In a press release, Selectman Hunt said he is endorsing Medeiros as his replacement because of his leadership abilities and the need for transparency on the board. Medeiros also said that his narrow loss last year is proof that every vote counts, and urged residents of the town to make sure they vote on May 10th. There will be two debates for the candidates vying for this seat. The fitst is Wednesday, April 27th, at the Carousel Lounge. The other is May 2nd at the Salisbury Library. Medeiros has 20 years law enforcement experience and retired from the Essex County Sheriff’s department as an Assistant Superintendent. He also served for 3 terms on the Salisbury Liquor Board as the Liquor Commissioner and is currently a member of the Salisbury Lions Club. Gil has 5 children, one of whom is an adopted foster child. When he moved to Salisbury in 2002 it was because he believed it was a town that had possibility and that would be a good place to raise his family. He still believes this and that is one of the main reasons he decided to, once again, run for Selectman.